Iceland is in the middle of Atlantic so most probably you will be flying in Reykjavik. From the airport rent a car and get ready to explore Iceland. I highly recommend getting a 4 x 4 if you plan to do any off-roading. Manual cars are a little cheaper than automatic ones , so if you can drive manual, you’re in luck . Note : Gas is not cheap in Iceland. While looking into cars do keep in mind that you will be driving a lot so mileage does count. 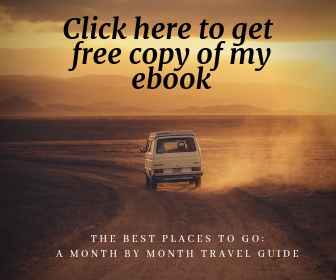 Sooner you book – hotels , excursions etc, better it is. Northern lights and Ice caves tours get booked pretty fast. 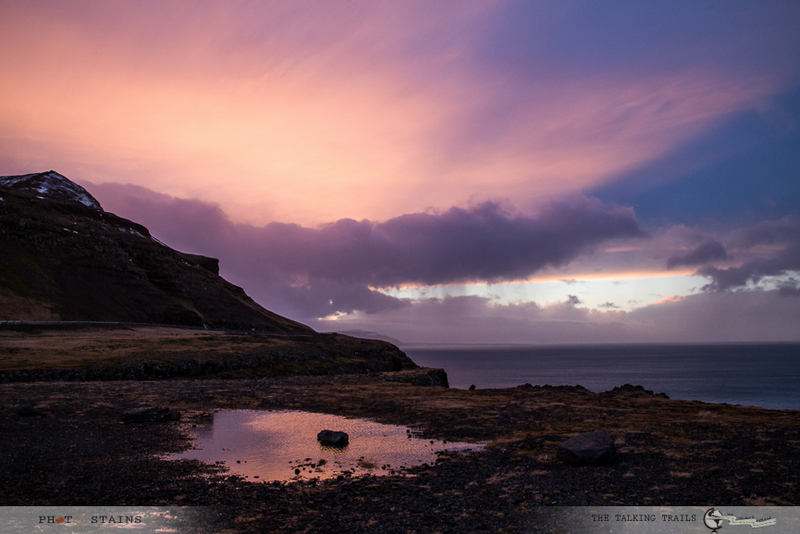 I have never camped in Iceland myself but I saw many people camping or enjoying Iceland on Camper-vans. If you decide to camp , you can save a lot . I have seen car prices fluctuating a lot. SO do not forget to put alerts on different car vendors to track the prices. Generally , local vendors are cheaper than big car rental chains. Restaurants are a bit expensive in remote locations, so I will suggest to stalk up some food from Reykjavik. One of the cheapest way to enjoy this country is by making it as your layover rather than destination. Almost all flights to Europe specially Icelandair and WOW air have layover in Iceland , and if you dig enough you can find some killer deals on airfare. You need not spend money buying bottled water. Drink from the tap and you will do just fine. And now here is the itinerary ……. So you have reached Reykjavik and now what. Depending on what time you reach, you can either head straight to the downtown and enjoy this cultural hub or you can start your vacation on relaxation note by heading to blue lagoon. 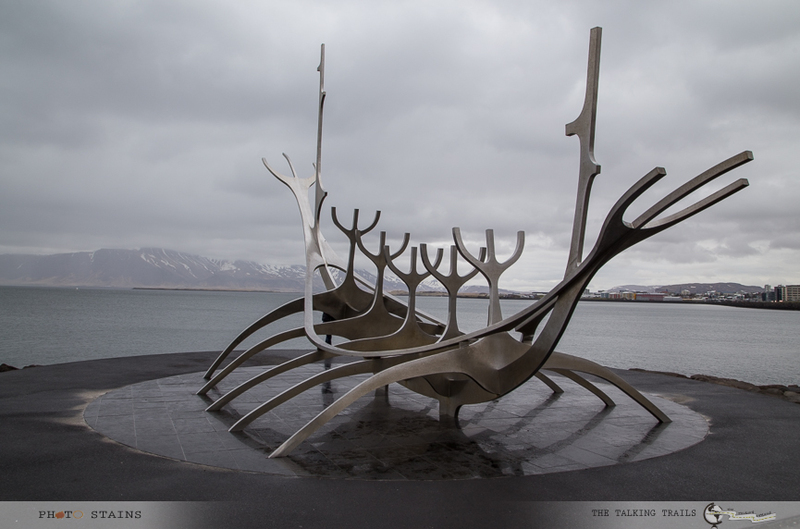 Being the cultural center of Iceland , Reykjavik has a lot of museums , churches, concert halls etc. . It has some amazing pubs and restaurants but there are couple of things that are absolute must see – Hallgrímskirkja church and Sun Voyeger. Once in downtown you can also try to find affordable guided tours for volcano hiking , northern lights etc. For blue lagoon , have your bookings done in advance and keep in mind that it easily takes 3- 4 hours to really enjoy the Blue Lagoon. 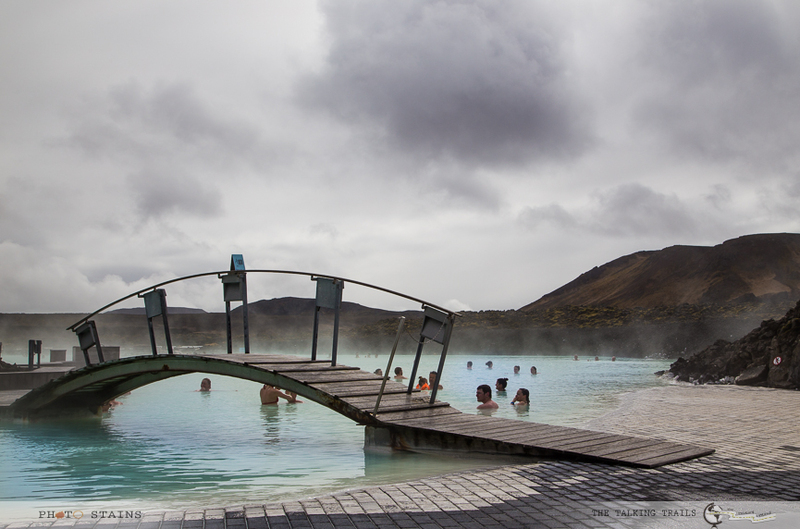 You can find all you need to know about blue lagoon here . Restaurants : My recommendations are for Vegetarians – Ban Thai, Gandhi Restaurant, Caruso. Oooh so much to see in this area. You really need a full day to truly enjoy the nature at its finest. According to google maps , the entire loop starting and ending at Reykjavik is almost about 500 km and will take 6 hours if you drive non stop. 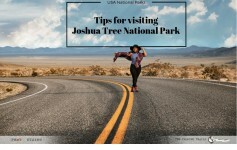 And since there are so many scenic viewpoints that you are bound to make frequent stop , it will easily take 10- 12 hours to explore the peninsular region. 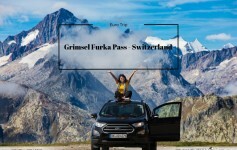 The highpoint of your trip will be Kirkujafell mountain – the most photographed mountain in the world. 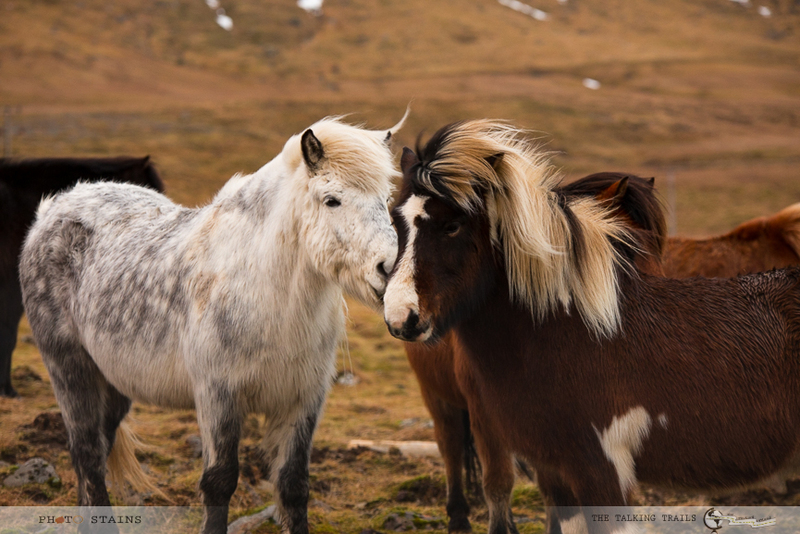 All tips , essentials and must sees on this western side of Iceland can be found here. Hotel Recommendation : Base yourself in Reykjavik so T 10 Hotel will still be my recommendation. 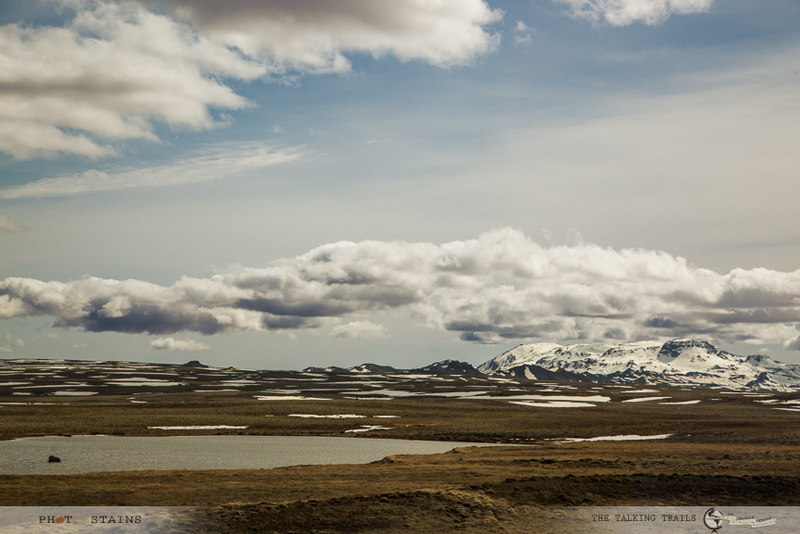 If you are visiting Iceland , you must have heard about Golden Circle. The Golden Circle is one of the most popular day trip for visitors to Iceland that packs the action of viewing tectonic plates , waterfalls and geysers all in one. 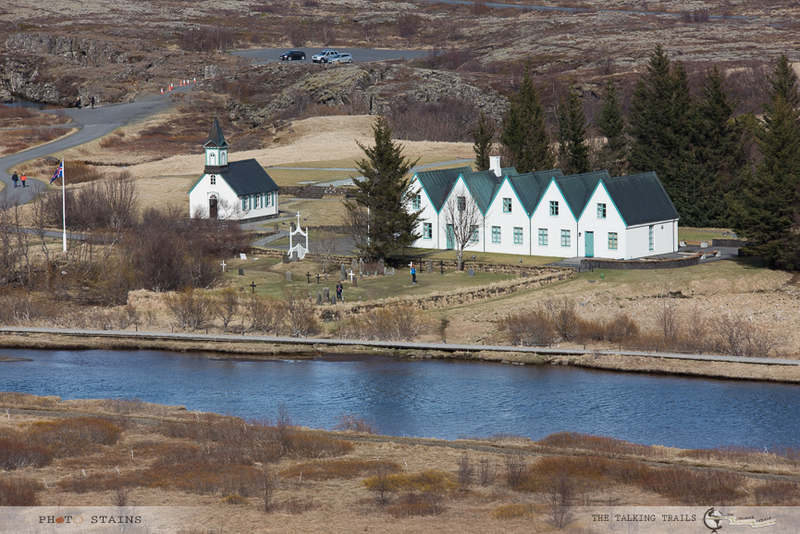 Your first stop Oxarfoss waterfall , Þingvallakirkja Church and Silfra . Next on the route will be Stokkur Geyser which explodes every 6 – 8 minutes . And last but not the least Gulfoss, a waterfall so magnificient that you will want to spend an entire day. You can find more details about Golden circle here. Hotel : Base yourself in Reykjavik so T 10 Hotel will still be my recommendation. Alternate : Helicopter Ride or guided tour to volcano caves. 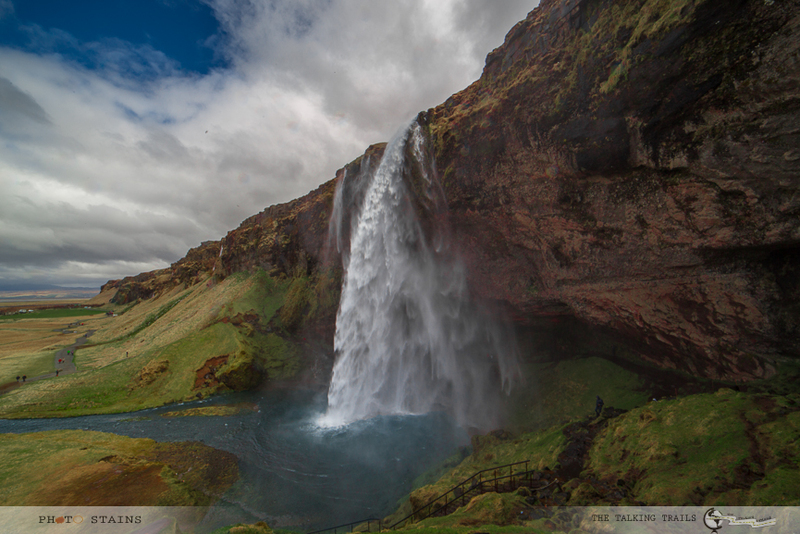 Yes foss means waterfall and Iceland has some of the most amazing waterfalls in the world. 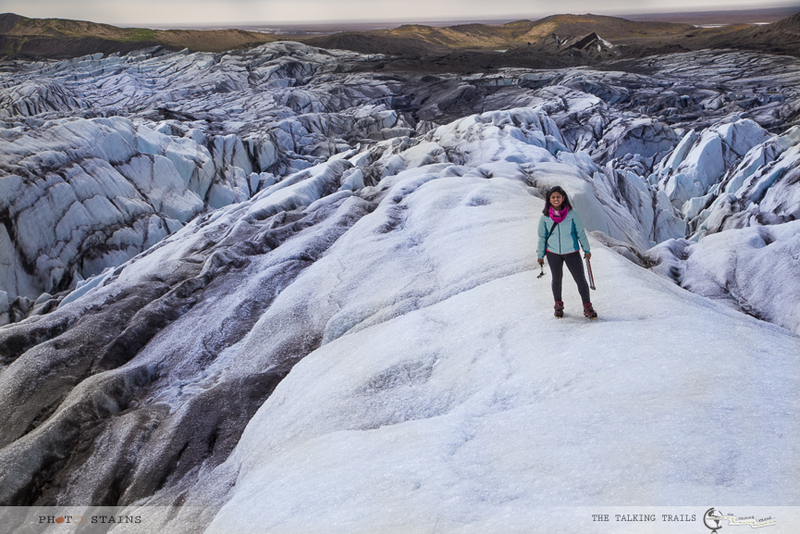 If Bollywood has not publicized it enough , I am here to make it your sole motive for your trip to Iceland. Each of the three waterfalls I have listed here , have there own charm. 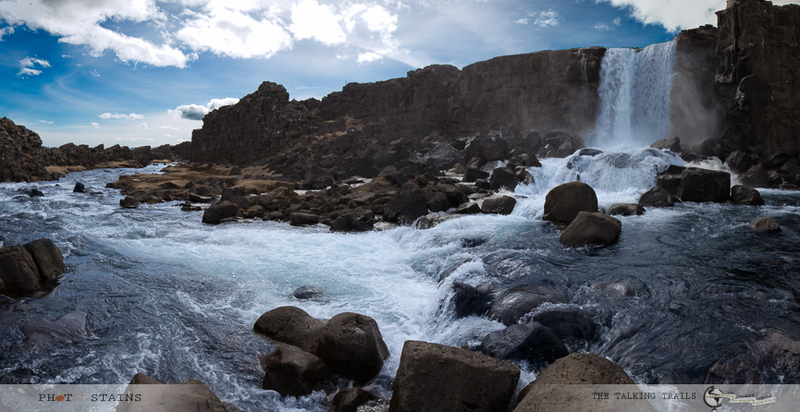 Bruarfoss is a little hard to find and requires some hiking (details coming soon on my blog), but is very rewarding. 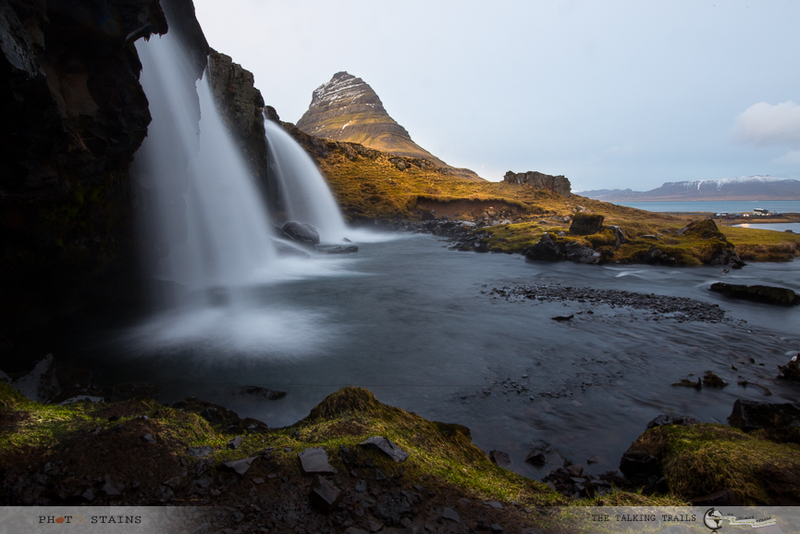 Seljalandfoss is the popular waterfall where you can actually walk behind the falling water and While visiting Seljalandfoss do not forget to visit Gljúfrabúi waterfall. It is a beautiful waterfall hidden behind giant rocks , very very beautiful. Skogafoss shows the true fury of water. You can also do a small hike next to Skogafoss that will take you to the top of waterfall and you can get the bird’s eye view – very very beautiful. Vik makes for the southern most part of Iceland and damn it is beautiful. There are so many things to see here . 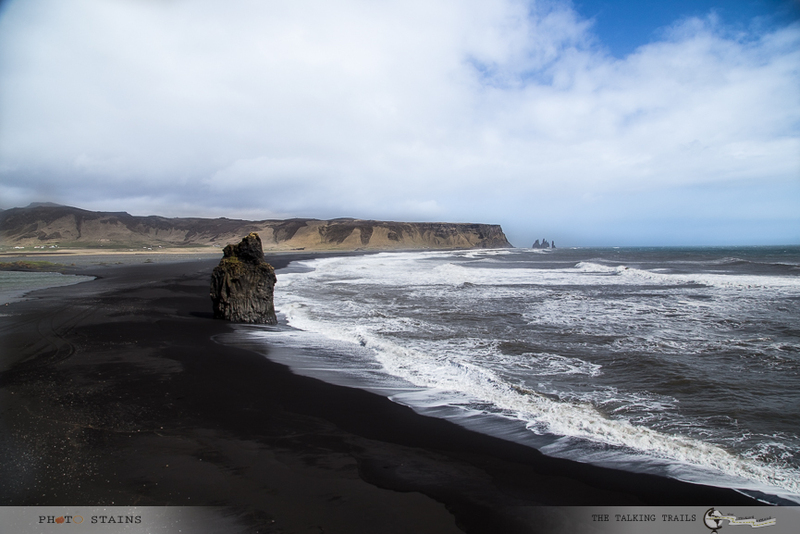 Here is the list of must sees – Reynisfjara beach , Dyrholaey and Solheimasandur Plane Crash site. For Day 4 I will suggest to stay near Skogafoss or Vik as it will make it a little easy to go further west and will cut your journey to half . Restaurant : Hotel Skogafoss has a very good restaurant with views of waterfall. Restaurant : Hotel Hofn has a restaurant which has good vegetarian options. 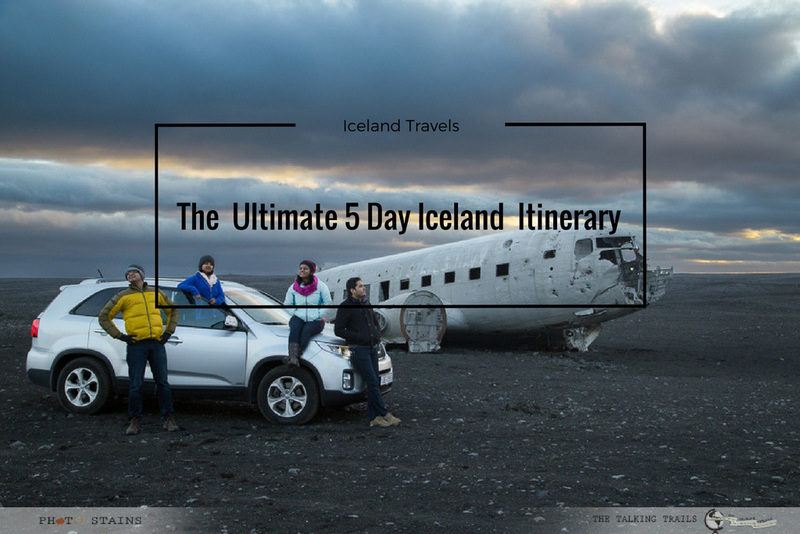 5 days are definetly not enough to see Iceland in its entirety but this is the most you can pack to have a trip of a lifetime. 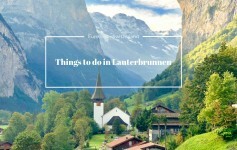 If you still need any help in making the variations of itinerary I have suggested above , feel free to mail me or comment on the post – I will be happy to help. 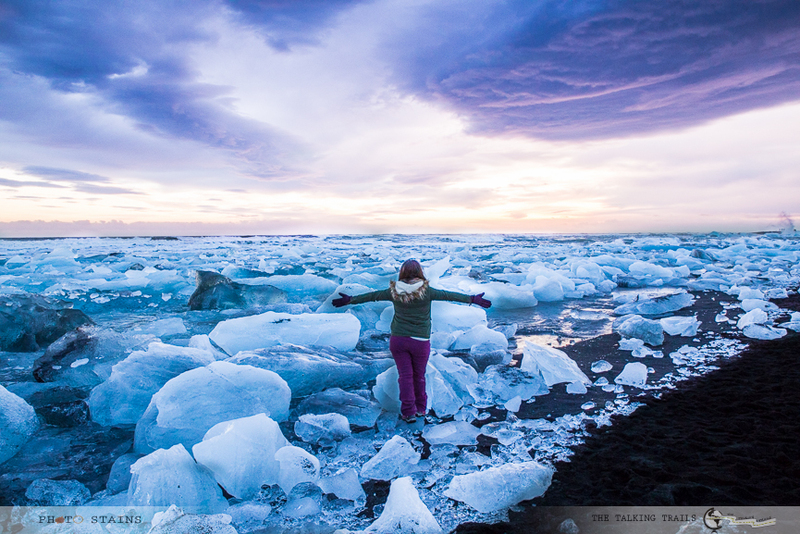 Between my 2 trips to Iceland – one in summer and one in winter I have realized Iceland is year round destination so no matter when you go , you will find Iceland AMAZING. Have you been to Iceland yet ?. I will love to hear from you. Thank you so much for stopping by. Which all areas did you cover and which was your favorite ? 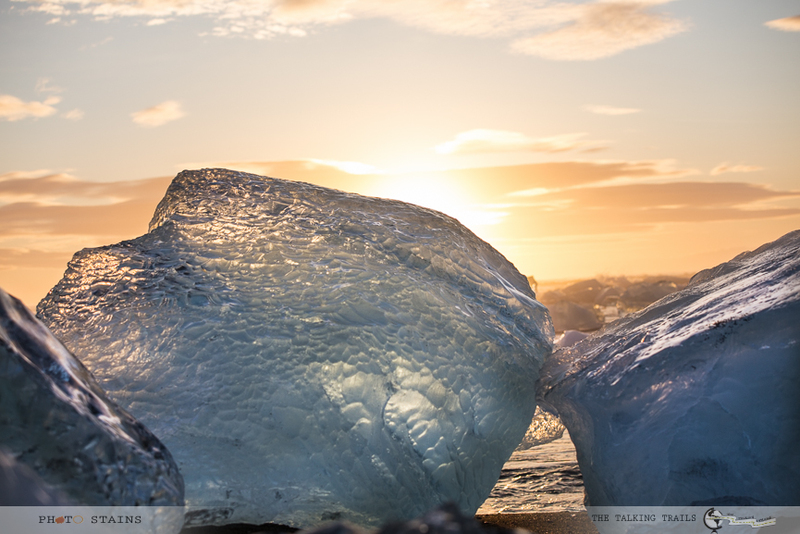 Next Article How much do you know about Iceland ?